Street parking is available around the neighborhood. 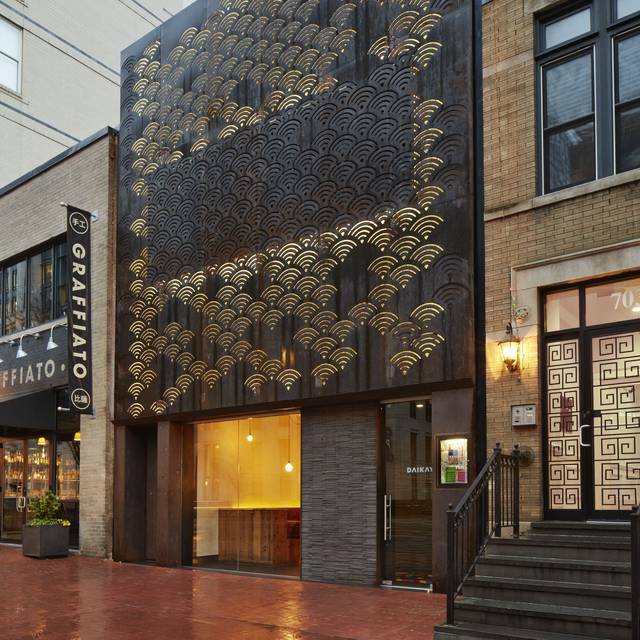 There are also 3 garages within 2 blocks of the restaurant. Across the street from the Gallery Place/Chinatown metro station, servicing, Green, Yellow, and Red Line trains. DJ's every Friday and Saturday night. Unfortunately, We don't offer catering. 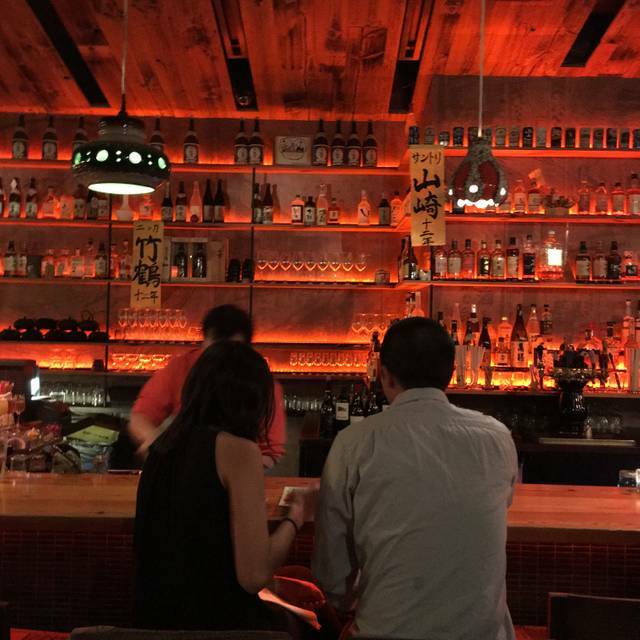 Reservations are for the upstairs Izakaya (NO RAMEN!) only and not for the Ramen shop. The Izakaya is a full service restaurant featuring small plates of Japanese tavern fare, as well as a full bar with cocktails, wine, beer, and a large selection of sake and Japanese spirits. We ordered several dishes. The chawanmushi was the highlight. It had this amazing silky texture and the umami flavor was incredible. The sake I ordered had a hint of smokiness which I recommend. I also recommend the caramel desert. 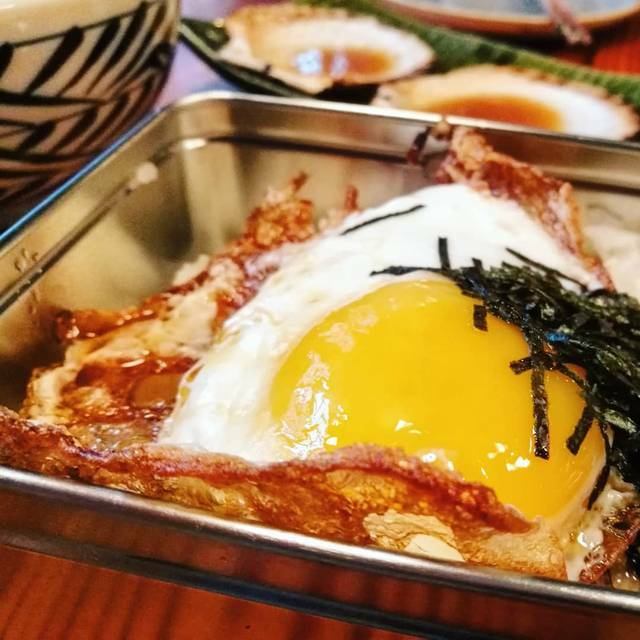 Daikaya is definitely a unique place. You can not get the same food that often. My fav in DC! Awesome atmosphere, and really fun fusion menu. Service was a little slow, but still very helpful. I've been going to this restaurant off and on for the last 4 years. The last menu change was pretty underwhelming. I miss the crab croquettes and the 3 versions of the onigiri dish! Overall, it was a nice evening, but I probably won't be back again since my favorites are off the menu. They have an enough range of Japanese dishes. I'd recommend karaage, edamame and scallops. Amazing food, amazing service, amazing ambiance. Will most certainly return! It sounded great on paper but the food was flavorless. We could not understand how that was possible but somehow they made it so. And we ate from all parts of the menu. For example, the catfish was good but the so called pickled ginger mayo sauce was dull. If you had not told me it was pickled ginger I would never have known. The rest of the food was meh. The service was quick but for our tastes, the waiter was a little too chatty. They serve tapas style mini-plates and you are encouraged to order several and share! I loved the grilled avocado and many of the seafood dishes as well as the brewed green tea! Great meal before a concert! Would recommend making a reservation, as it did get busy before the show. novel. will definitely come back..... represents the best that DC has to offer! Amazing in every way. The food, service, ambiance were stellar. At an affordable price! Hands down, one of my top 3 favorite dining experiences in DC. Our waiter Zach was top notch. He was very knowledgeable about the menu and helpful, as this was our first time restaurant. The food was excellent. Stylish decor and great music add to the ambiance. We will be returning. One the best places I have eaten at in DC. LOVE THE MENU! We will be back to eat our way through it. The food was all fine but nothing I would order again. And when you shell out 40 bucks or more a person that adds up to a place I wouldn’t return to. 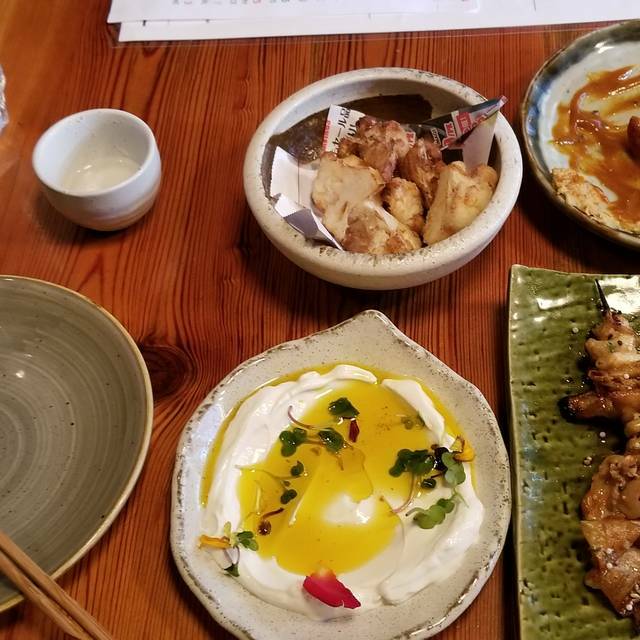 Very interesting and tasty Japanese small plates. The ambiance is quite with an eclectic decor. The service was great and the dishes come out quickly. Out of five dishes, one was quite good and one quite bad and the others were so so. GET THE RICE BALLS!!! Life changing. A fun night with lots of interesting new food and excellent service. food was bad. food was bad.food was bad.food was bad.food was bad.food was bad.food was bad.food was bad.food was bad.food was bad.food was bad.food was bad.food was bad.food was bad.food was bad. We love ramen at Daikaya downstairs (no reservations and communal seating), so we decided to try Izakaya upstairs where we could make reservations and have a more quiet dinner. We were not disappointed. Three of us enjoyed numerous small plates for dinner, including grilled avocado, grilled okra, miso marinated salmon, catfish kara-age, pork & brussels sprouts and udon noodles. Our daughter proclaimed the sprouts were the best she'd ever had. The draft cocktail of aperol and sparkling sake was also refreshing and delicious. It was a great meal. The food was very interesting. Many dishes that I chose had an Italian flare. I do not eat pork or a lot of seafood so I did not have as many options but the veggie dishes I had were quite good, especially the grilled zucchini. The ambiance was very cool and it was relatively quiet since I went on a Sunday night. 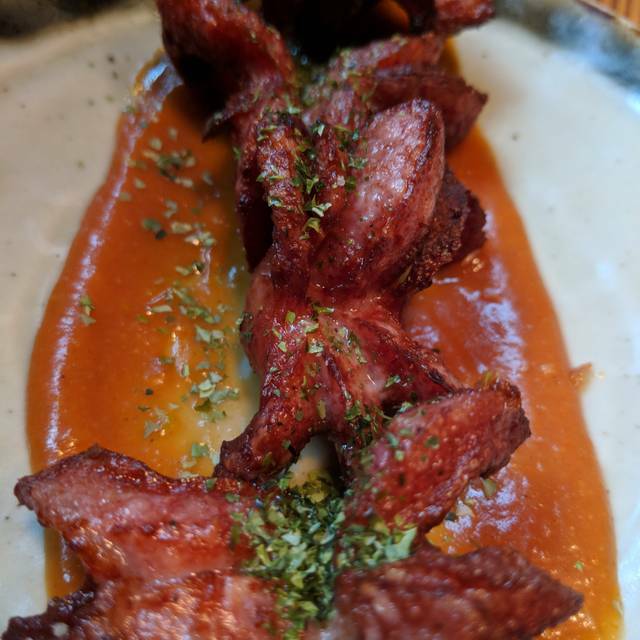 My girlfriend and I visited Izakaya for the first time over the weekend and we will definitely be coming back! The Catfish and Chicken Kara-age were delicious and the Grilled Chicken Skin was phenomenal. Although I cannot recall her name, our sever that evening was extremely kind and helpful. Will definitely recommend to anyone I know who may be visiting DC in the future! So much fun! Food was amazing, drinks were great, service was great. Food was outstanding. Awesome ambiance and DJ. Don’t be afraid of the raw food. Try the plum dessert wine! 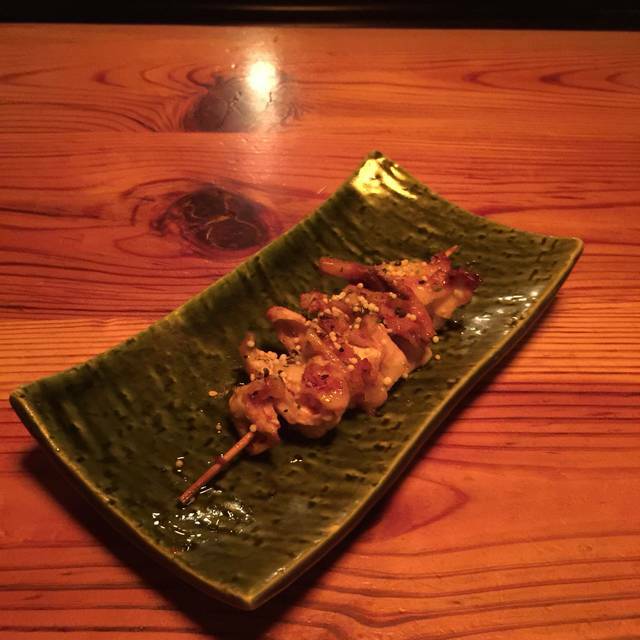 I’d beent to Izakaya during many past visits to DC. The ambiance of the restaurant is still beautiful and you still get greeted with warm hospitality. Unfortunately, the quality of their food has gone down substantially. 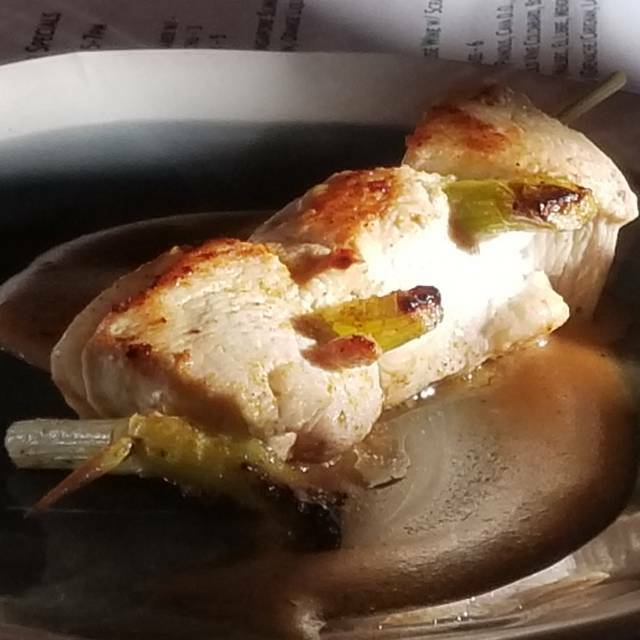 We only had one dish that was of great quality, the rest tasted old or bland, one even that we barely ate more than a bite of. Would be better if rice and noodle improved. The music was too loud. I could not hear my conversation. Fantastic food, but very noisy. The music was so loud that it was hard to have a conversation. Always a great spot to grab dinner. Customer service is top-notch! Incredible food, service, & environment! Thank you for a lovely experience!! 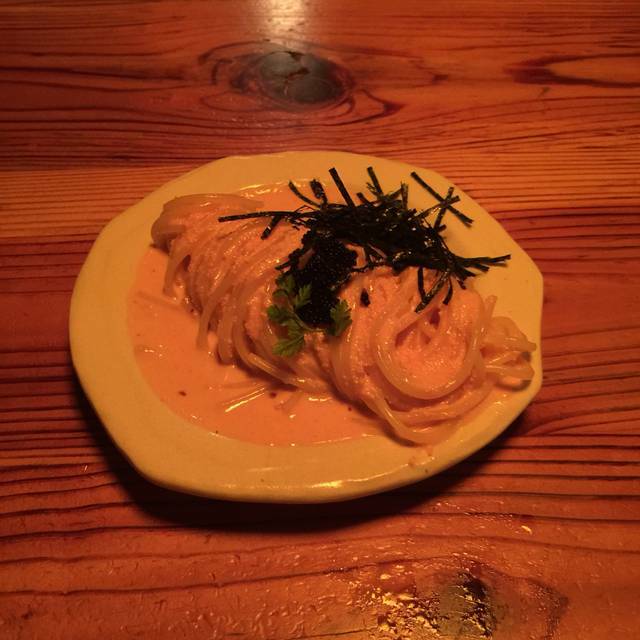 Izakaya is a solid date night choice. In addition to having great food (small, shared plates), it's a pretty chill vibe in a somewhat intimate space. My boyfriend & I shared 7 different plates, each of which was different in it's own right. The stand outs were the octopus, beef tongue special, and burrata. I was too full to have dessert, but I'm looking forward to it next time. 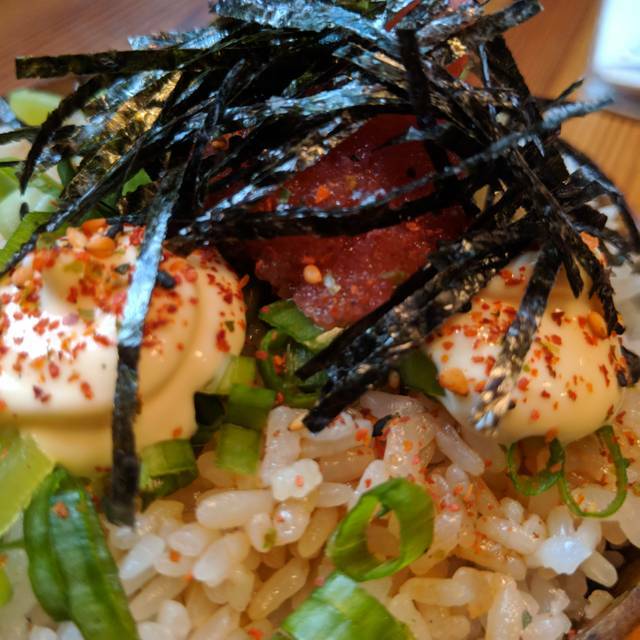 Novel Japanese fusion cuisine served in tapas-like fashion. The food is good, but portions tend to be small, so figure on 4+ dishes per person (and budget accordingly). We ate at Izakaya on 2nd floor, would like to try the ramen shop on the 1st floor sometime. The beef tongue and rice ball with pork are delicious! The ambiance of the place is cool and the waitstaff is on point. Only minor issue is that it the noise level (from everyone having so much fun!) is a bit loud. If you're old, that might bother you a bit. But, push through it, and enjoy the food. Place was way too loud. Very nice food and place!